After defeating Roma in the quarterfinals of the Champions League (4-1), it’s a return to league action for Barça. Ernesto Valverde’s side face Leganés (Saturday, 8.45pm CET) in a match corresponding to Week 31 of La Liga. The Blaugrana want to win at the Camp Nou in order to achieve the goal that Valverde stressed at his press conference: "We need 15 more points to be champions." 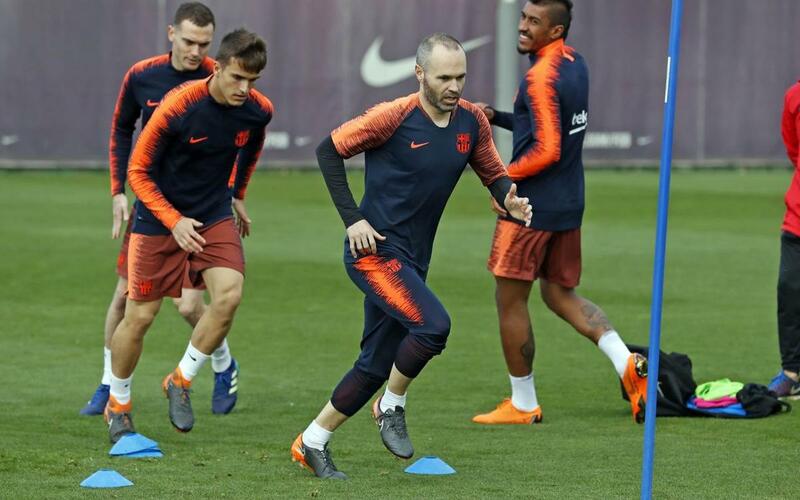 For this game, the coach will not be able to count on the injured Lucas Digne and Sergio Busquets, whilst Aleix Vidal and Yerry Mina have been left off of the list. Therefore, the 18 players called up are: Ter Stegen, Cillessen, Semedo, Piqué, Rakitic, Denis Suárez, Iniesta, Suárez, Messi, Dembélé, Coutinho, Paulinho, Alcácer, Jordi Alba, Sergi Roberto, André Gomes, Umtiti and Vermaelen.